The NBA 2K League APAC Invitational tournament will be held this weekend, Feb. 2 and Feb. 3, in Hong Kong. Season one league MVP OneWildWalnut will commentate the event, whose Sunday tournament will be broadcast live on Twitch. 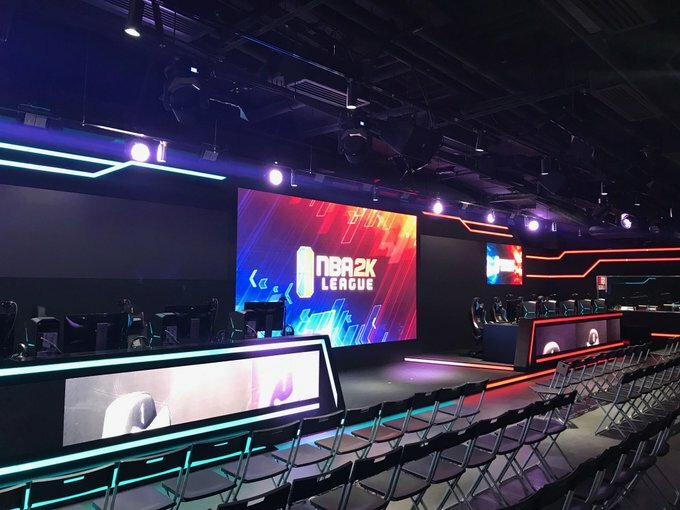 Several team officials, such as Pacers Gaming’s Cody Parrent and Pistons GT’s Adam Rubin, will join league officials in Hong Kong to help select several players for the season two entry draft pool. 1. What does making the APAC tournament mean to you? 2. Did you follow the NBA 2K League last year? If so, by whom would you want to be drafted? 3. What sort of player are you? What can teams expect from you? 1. First of all, It means a lot to me. When the email popped up, I was really shocked. I didn’t really expect it at all. It was a surreal feeling. Because for me this is the opportunity of a lifetime. The APAC Invitationals, not just only for me, but in my country, The Philippines. Every Filipino out here dreams of being a NBA Player. Even though we know that this is not a real basketball game, it is still a big deal for us. So I’m ready and excited to showcase my skills in Hong Kong! 2. I definitely followed the NBA 2K League, since day one. I’m a big fan of Knicks Gaming, the Cinderella story team, and because of Nate Kahl. For me, he is the best defensive player in the league! Honestly, though, it doesn’t matter what team it is as long as I get drafted. But if I were given a chance to pick a team, definitely Knicks Gaming! 3. I played the SG position—pure sharpshooter—and PF—pure stretch—in NBA 2K19 Pro-Am. Everyone in the 2K community in the Philippines told me that I really excel at being the offensive gunner in the team. But honestly, I can play any role on the team. You can put me in 1-5 positions. I can play great defense too. I’m a versatile player. And what’s really important for me is to win. Teams out there can expect many good things with me. I’m really a positive team player. I think I have the 2K basketball IQ and also regular basketball IQ to be able to contribute. No pressure at all. 1. It means everything to me. It’s a clear path towards making it to the NBA 2K League draft. This is it. This is my dream. 2. Yes, I watched most games last year. I would like to be drafted by Mavs Gaming and be one of the pieces to complement Dimez. 3. I mainly play the PF/C position in my team but I’m also versatile at every other position. I have a very high work ethic and basketball IQ, which led me to win different NBA 2K tournaments and competitions in the past. I’m a kind of player who does everything that needs to be done in order to win. Teams can expect me to be have high mechanics in NBA 2K since I’ve been competing at the top level in Asia for a long time now. I believe that I have a lot to contribute to a team environment and I’m comfortable in both leadership and complementary roles. I’m outgoing, optimistic, and have strong communication skills. 1. It means a lot to me. It is the biggest opportunity I’ve had so far and it is one step away from being drafted. It is a dream come true to be part of the APAC Tournament. 2. Yes. There were many great teams last year and being a part of any team would be an honor. 3. I am the type of player who is eager to improve my gameplay to help the team be better. I am a competitor and I am a versatile player who is willing to play any role given by the team, and my goal is to win. 1. It meant everything to me. All the sacrifices and life-changing decisions I had to make before were all worth it, just because I’ll have an opportunity to show what I can bring to the table. Time to seize the moment. 2. Absolutely! Even before the first season started. I would have to say Knicks Gaming. I just want to relate on how they won the title in my personal experience. They were never the favorite to win the Ticket and the championship but they overcame the odds. Being overlooked gives you that edge by having an underdog mentality and that’s my mindset coming in Feb. 2 and 3. 3. I’m very vocal. I always emphasize that communication is key to succeeding. I want to promote positivity and lift everybody’s confidence. If a team is looking for someone with an underdog mentality even when he is winning, someone who’s willing to accept any role, someone who takes preparation seriously, someone who will represent their team with the utmost respect and professionalism, someone who wants to create a brand of basketball wherein everyone gets involved, someone with an open mind to add to the meta in offense by running plays to keep the defense off balance, someone who just want to win badly… I will be the perfect fit.